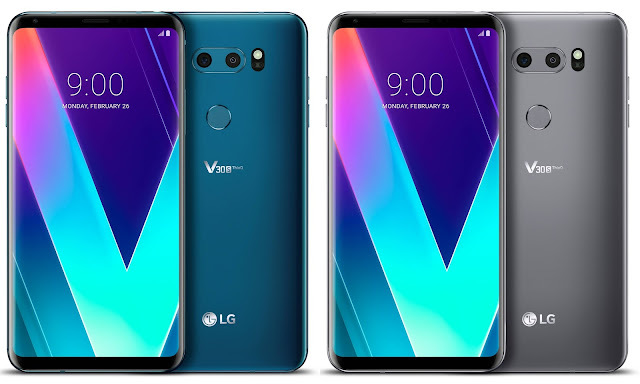 I liked the LG V30, finding its successor was going to be hard. LG had some issues itself in terms of being profitable in the handset division (which, really, I'm scratching my head over, as I've loved all their phones and I have seen their phone in a lot of hands, especially in southern Ontario). So the whole idea of what will be their next phone was a bit of confusion. What we did know was there was going to be some effort put into their camera's brains with AI. Then (and I can't believe I missed reporting on this earlier) at Mobile World Congress they announce the LG V30S ThinQ. A revamped LG V30 with new AI. First up, I'm not overly enthused at just adding the S to the end of a model number. We're not Apple. Essentially, they took the V30, and added in the new AI brain to its cameras. AI Cam and QLens. The processor is the same, the ... oh, they upped the storage to 128GB and put in 6GB of RAM. So there is the difference there. Aside from that, the same. The main reason to look at this will be their new AI features they announced at the start of MWC. It's interesting that the non-S variant isn't just getting a software update (is there some chip necessary? ).